Register online before June 15 for best price and to guarantee dinners Fri & Sat. Registration at the gate does not include meals. A limited number of meal tickets will be for sale at the gate. Select this option if you prefer vegetarian dinners on Friday & Saturday. This year, the popular Cowboy Lunch Ride will take you along a scenic route to another ranch location to enjoy their cowboy cuisine and get an up-close look at ranch life! Non-refundable price includes a delicious lunch of custom-made all-beef beer brauts, homecooked beans, salad, drinks and cookies. Departs Main Gate Friday 10am. You must start with a full gas tank; bring water. The Friday class starts at 8:30am with an hour-long classroom session in Keerins Hall for a discussion of cornering, riding strategy, and technique. Afterward, the group will embark on a 1.5 hour ride to put ART (Advanced Rider Training) techniques to work on real asphalt. There will be opportunities during the ride for group discussion and professional feedback. Fee is non-refundable. Park in front of Keerins Hall. You must start with a full gas tank; bring water & snacks. The Saturday class starts at 8:30am with an hour-long classroom session in Keerins Hall for a discussion of cornering, riding strategy, and technique. Afterward, the group will embark on a 1.5 hour ride to put ART (Advanced Rider Training) techniques to work on real asphalt. There will be opportunities during the ride for group discussion and professional feedback. Fee is non-refundable. Park in front of Keerins Hall. You must start with a full gas tank; bring water & snacks. Saturday afternoon sessions take place on the highway dept lot 2 minutes ride from the fairgrounds. Stop by the info booth to pick up map and instructions to site. Non-refundable fee. On-Line Early Registration is March 1st through June 15th. Early registration includes 3 nights camping, Fri & Sat dinner tickets, door prize ticket and rally pin. If you wait to register at the gate, your registration will not include meal tickets. A limited number of meal tickets will be available for purchase at the gate for $15. Gate registration opens at 1:00 p.m. on Thursday, June 27, 2019. Gate registration will be $45 for BMWRO members and $60 for non-members. COWBOY LUNCH RIDE – Friday June 28, 2019 -- Each year, the ride takes you along a scenic route to a different ranch location to enjoy their cowboy chuckwagon cuisine and get an up-close look at ranch life! Lunch consists of custom-made all-beef beer brats, home-cooked beans, salad, drinks and cookies. After lunch there will be a presentation on the operations of the ranch with an emphasis on watershed management. Sign up for the Cowboy Lunch Ride when you register for the rally. Space is limited, so sign up early! Cowboy Lunch Ride cost is $15 (non-refundable) to benefit the Grant County Stockgrowers Association. We will ride (or drive) to the ranch starting from the Main Gate at 10am, Friday. Be sure to start with a full gas tank. TEAM OREGON CORNERING SKILLS CLASS --This class will be offered once on Friday and once on Saturday. The class starts with an hour-long classroom session at 8:30am in Keerins Hall for a discussion of cornering, riding strategy, and technique. Afterward, the group will embark on a 1.5 hour ride to put ART (Advanced Rider Training) techniques to work on real asphalt. There will be opportunities during the ride for group discussion and professional feedback. This same class was offered at the rally last year and got rave reviews! 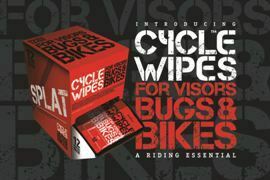 These classes are limited to 12 riders each day, so sign up early. These classes fill up fast! 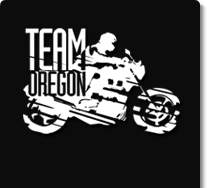 Team Oregon Cornering Skills class cost is $40 and non-refundable. This clinic is focused on street riding. Bring your questions and your hang-ups – the discussion is wide open. Dual-sports, three-wheelers, scooters and passengers are welcome. Let’s ride! TEAM OREGON U-TURN CLINICS--Team Oregon will also offer four half-hour U-turn Skills Clinics on Saturday afternoon at a location about 2 minutes ride from the fairgrounds. These clinics are limited to 6 riders in each session. Sessions are scheduled 2:30pm, 3:00pm, 3:30pm, and 4:00pm. The cost for the clinic is $10 and these are expected to fill up fast! CLICK HERE for a map to the site of this clinic. Maps will be available at the Rally Information Booth. RALLY T-SHIRTS--Arrangements have been made to provide you with choices in T-shirt styles, fabrics, and colors as well as a sweatshirt option. Rally shirts will be available by pre-order only. CLICK HERE to view T-shirt options and order your shirts. The deadline for your rally shirt orders is June 6th. You'll be able to pick-up your shirt orders at the Chief Joseph Rally in the Information Booth. The T-shirt webstore will reopen for orders again June 24th through July 6th Orders placed after June 24th will be shipped to your home and incur shipping charges.